When Kerala Devaswom Minister Kadakampally Surendran appealed to women in the age group of 10 and 50 not to attempt to enter the Sabarimala temple during the current pilgrim season, the right-wing outfits believed that at least the government and the police will stop aiding women from the barred age group in entering the temple. The minister had made the appeal after the protestors forced a six-member group from Tamil Nadu and two women from north Kerala to abandon their attempt to enter the temple during the peak Mandalakala pilgrim season. While the group from Tamil Nadu returned home, the two from Kozhikode and Malappuram districts returned and scripted history in a dramatic pre-dawn mission on 2 January. 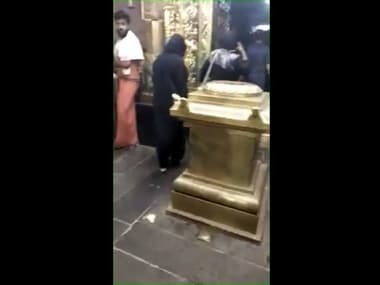 Two women enter Sabarimala temple. Bindu Ammini (42) and Kankadurga (44) have thus become the first women to offer prayers at the Lord Ayyappa temple since the Supreme Court lifted the ban on menstruating women from entering the temple on 28 September, 2018. Bindu, who serves as a guest lecturer in the legal studies department of Kannur University, described the fete as the first step towards ensuring gender equality in the famous temple. Bindu told Manorama news channel that none of the devotees, who were in the hillock, tried to stop them when they trekked the hill. She said that they reached Pampa, the foothills on Tuesday (1 January) night and sought help from the police in visiting the temple. “We began our trek to the hill with the help of a small group of policemen in plain clothes around 1.30 am and reached the temple around 3.30 am. We offered prayers before Lord Ayyappa and returned without any problem from any quarters,” she said. 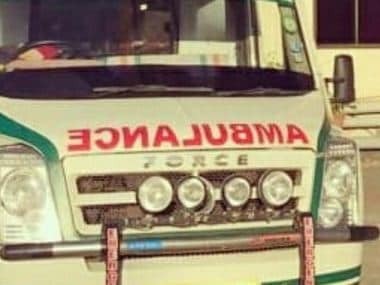 The scene, however, was completely different when they made their first attempt to enter the Sabarimala temple on 24 December with the help of a team of 50 police personnel in uniform. The devotees erected a human wall when they reached close to the temple and prevented them from proceeding further. The policemen who had escorted them took them back by force. Women activists believe that Bindu and Kanakadurga could enter the temple safely because there were no protestors at Sabarimala. They believe that the right-wing activists may have dropped guard after the Devaswom minister’s appeal. Noted activist G Mallika viewed this as a clear indication that the trouble in Sabarimala was created by right-wing activists who entered the hillock disguised as devotees. "The genuine believers are not concerned about the entry of women in Sabarimala. The protests are orchestrated by the BJP and the Sangh Parivar for their political gains. They are trying to make the hill shrine a conflict zone according to their political agenda. This cannot be allowed,” the activist said. The two women's entry into the Sabarimala temple came a day after a women's wall was erected from the northern district to the southern district of the state at the initiative of the Left Democratic Front government with the avowed objective of ensuring gender equality and protecting the renaissance values. Though the government claimed that the women’s wall had nothing to do with Sabarimala, the Opposition parties believed that it was aimed at facilitating the women's entry into the temple. Congress and BJP leaders have described the entry of the two women into the temple as a result of a conspiracy hatched by the government and termed it as a betrayal of the devotees. 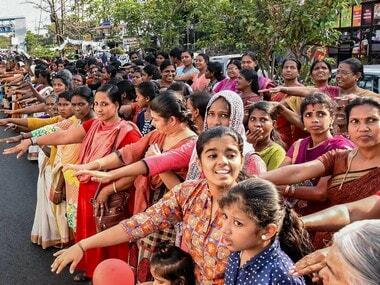 "We expected the government to make the entry of women in Sabarimala a reality following the women’s wall. However, we did not expect it to happen a day after the campaign,” he added. The entry of the two women into Sabarimala led to sporadic protests across the state on Wednesday. The BJP and Sangh Parivar activists blocked National Highways and forced shops to close in many places. The protestors clashed with the police and the ruling Communist Party of India (Marxist) workers in Thiruvananthapuram. The Police used water cannons and tear gas shells to disperse the protestors. Police also resorted to lathi charge in Palakkad after the protests turned violent. The Congress, which is opposing the entry of women into the temple, staged demonstrations across the state in protest against the violation of customs and rituals at the temple. 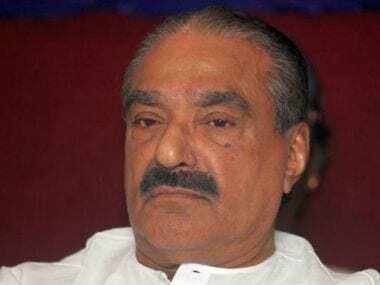 Kerala Pradesh Congress Committee (KPCC) president Mullappally Ramachandran said that the party will strengthen the agitation if the government continued with the support to the women. 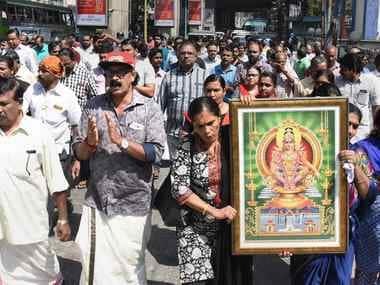 The Sabarimala Karma Samithi, an umbrella organisation of various Hindu and Sangh Parivar outfits, has called a hartal (strike) on Thursday alleging that the entry of the two women into Sabarimala was the result of a conspiracy hatched by Chief Minister Pinarayi Vijayan. 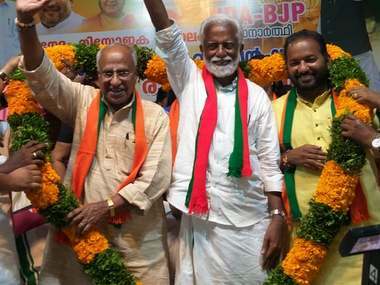 The BJP has extended support to the hartal, which is the third state-wide strike since the Supreme Court gave its verdict allowing women in the age group of 10 and 50 to enter the temple as well. State BJP president PS Sreedharan Pillai alleged that the entry of the women shows that they have cheated and betrayed the Hindu devotees. "This is a backdoor entry facilitated by the government as per a conspiracy. The government has inflicted a deep wound on the chest of the devotees. This cannot be healed easily. Let all the devotees come forward and protest this," he said. This is a conspiracy hatched by the atheist rulers to destroy the Hindu temples. They have been trying this for a long time. The devotees will not get justice from this government. There will be strong protests against this. The devotees have already demanded the resignation of Vijayan. The BJP will support the struggles against the destruction of faith by the Communists. Pillai said that the two women who visited the temple were not devotees but Left activists, who have helped the ruling party in implementing its agenda in Sabarimala. 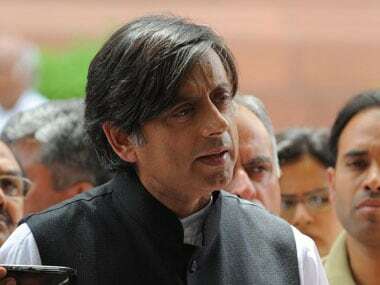 He said that the women had gone to Sabarimala with the help of CPM leaders. Bindu is said to be a CPI (ML) activist from Koyilandy in Kozhikode district and Kanakadurga is a civil supplies employee from Angadipuram in Malappuram. Devaswom Minister Surendran said that the government was unaware of the visit of the two women to the Sabarimala temple. "The world came to know about the visit after the women announced the visit through WhatsApp," he said. He said that the government could not prevent women from entering the temple after the 28 September verdict of the Supreme Court. "Lots of women have been visiting the temple after the verdict. We have not been checking their age. Earlier, the Devaswom Board used to do this. After the apex court verdict the system was withdrawn as it would have tantamount to violation of the court order,” the minister told the media. Meanwhile, the police have stepped up security across the state in view of the hartal called by the Sabarimala Karma Samithi on Thursday and the appeal issued by merchants associations to defy it. The merchant bodies have issued an appeal in accordance with a joint decision taken by them in the wake of the hartal called by the BJP following the suicide by a 50-year-old man in the state capital.